President Trump's vows to protect American jobs and improve national security by tightening U.S. borders are intensifying the debate over immigration's impact on the economy. Many politicians and workers argue that immigrants — legal and illegal — undercut wages and take jobs from native-born workers. They also contend undocumented immigrants burden society with welfare, medical and education costs. Immigration advocates respond that newcomers bring badly needed skills to the American economy, especially in the technology sector, where half the leaders of billion-dollar Silicon Valley companies are immigrants. Advocates also say immigrants often fill low-wage jobs short on workers, from home building to landscaping and dishwashing. Many experts fear the heated debate over immigration may cause the world's most talented young people to avoid studying at American universities or moving to the United States. Meanwhile, “Dreamers” — children brought to the United States illegally — are nervously waiting to learn whether the administration will allow them to stay in this country. After emigrating from Syria to the United States in 1906, Ed Hyder's grandfather got his start peddling shirt collars and dry goods to men maintaining the Erie Canal and railroads in New York state. Hyder's father and uncles eventually took over the business, opening shops that sold meat and groceries. The first two generations of Hyders would have been dazzled to see what the third and fourth generations of the family have done with the business. 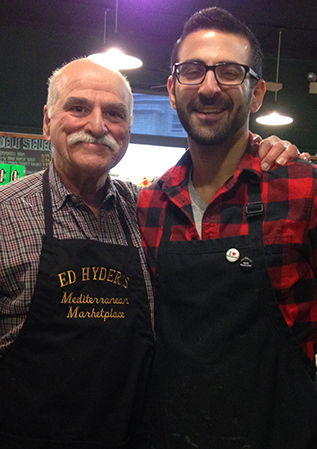 In a converted firehouse in Worcester, Mass., Hyder and his son Gregory run a popular Mediterranean market with a staff of 15 workers, drawing an avid foodie audience with far more upscale tastes than the working-class customers who gave the early Hyders their start. The shelves are filled with big containers of flour and racks of exotic spices, and refrigerator cases contain homemade Middle Eastern specialties and soups. Reaction was swift on all sides. Supporters of the tough new policies believe they will protect the country's security and provide more jobs to American citizens. But other Americans and businesses that rely on immigrants to spur innovation and keep operations flowing voiced deep reservations. The furor underscored how deeply conflicted Americans are over the impact of immigration on jobs and the overall U.S. economy. Opponents focus mainly on illegal immigration and say it takes jobs from Americans and costs the treasury billions of dollars. Supporters discount these concerns and say immigration — especially legal immigration of highly educated foreigners — is a boon to the economy. After a federal judge issued a stay on implementing parts of Trump's executive order on refugees and travel — which the Trump administration appealed — more than 100 chief executives from technology and other companies filed a brief with the Ninth U.S. Circuit Court of Appeals, arguing the President's so-called “Muslim ban” violated the U.S. Constitution and would badly hurt their businesses. Boston College political science professor Peter Skerry, who has written extensively on immigration issues, says anti-immigration arguments resonate with Americans who believe globalization and the free movement of workers across borders have hurt them. “If you're some white American in a disadvantaged situation, you wouldn't have to be a mean-spirited bigot to say, ‘Gee, do we really want more of these guys?’” he says. Much of the president's focus has been on the nation's 11 million undocumented immigrants, who critics say are more of a drain than a boon to the economy. Because the number of undocumented immigrants equals about 5 percent of the working population, some critics say the nation's unemployment rate could be reduced to zero if authorities expelled as many as 3 million of these people. Others argue they should be allowed to stay legally, which would enable them to earn higher incomes and pay more in taxes. AnnaLee Saxenian, dean of the University of California, Berkeley School of Information and an expert on Silicon Valley and technology, says much of this discussion misses the point. “The debate over immigration is deteriorating into a conversation over, ‘Are they stealing jobs?’” she says. Undocumented immigrants hold large numbers of jobs in construction, health care and restaurants, especially in Texas, which has the second-largest number of undocumented immigrants behind California. Evicting them, Saxenian says, might mean immediate hardships for the companies that employ them, because of a worker shortage in a tight job market. Such concerns did not stop Arizona from enacting a series of tough laws between 2000 and 2010 aimed at stemming the flow of illegal immigration. Saxenian says that although technology and other business sectors highly value immigrants, foreign-born workers look at the controversies over immigration as evidence of an unwelcome American climate. This, she says, could lead some foreign entrepreneurs to establish their companies elsewhere. 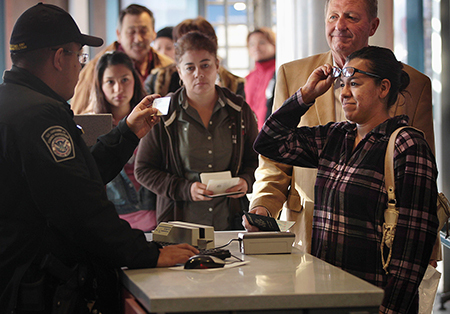 Are undocumented immigrants good for the U.S. economy? That $113 billion figure, according to FAIR, includes federal expenses for education, medical treatment and law enforcement, as well as other expenditures covering undocumented immigrants, who have been blocked from receiving federal welfare since passage of the 1996 welfare reform law.16 The bulk of the expense, however, is paid by state and local governments, estimated by FAIR at $84 billion. The American Immigration Council, a pro-immigrant think tank in Washington, said FAIR's report relied “upon flawed and empirically baseless assumptions to inflate its estimate of the costs.” It added: “Much of what FAIR counts as the cost of unauthorized immigration is actually the cost of education and health care for U.S. citizen children.” PolitiFact, a Pulitzer Prize-winning fact-checking website, said the cost of undocumented immigrants to the country was as low as $1.9 billion, but noted that the estimates vary widely. They cited research by Raúl Hinojosa-Ojeda, an immigration expert at the University of California, Los Angeles, concluding that undocumented residents could contribute $1.5 trillion to the U.S. gross domestic product (GDP) over a decade if all 11 million were granted legal resident status. His reasoning: Legal workers earn higher wages than undocumented workers, and they use those higher wages to buy homes, cars, appliances and electronics. As this money flows into the economy, businesses expand to meet demand, and jobs are added. James H. Johnson Jr., a professor of strategy and entrepreneurship at the University of North Carolina's Kenan-Flagler Business School, says immigrants have an economic ripple effect that is not widely recognized. “People are not fully accounting for the way that immigrants add value to the economy,” Johnson says. “They create additional jobs that would not be there.” For instance, undocumented immigrants need attorneys to help them navigate U.S. laws. Or they may need translators or help filing their tax returns. 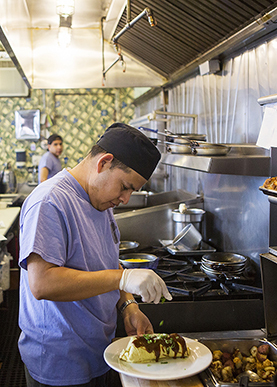 Restaurant owners are among those concerned about a crackdown on undocumented workers. “If every one of [the undocumented immigrants] working in a restaurant was gone tomorrow, you'd have to close down the entire industry,” says Mike Monahan, owner of Monahan's Seafood in Ann Arbor, Mich. 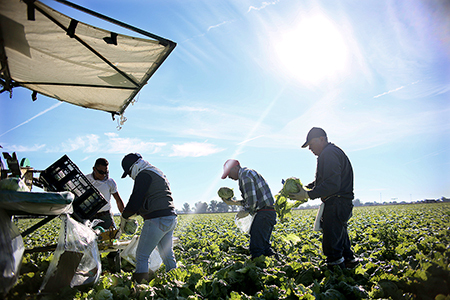 The true cost of undocumented workers to American society may be debatable, but Maria Minniti, a professor of entrepreneurship at the Whitman School of Management at Syracuse University, sees advantages, both to the country and the workers themselves. Many would not be employable in parts of the job market that require higher skill levels, she says. But working in restaurants or in similar jobs lets the newcomers get their bearings while they learn English and the ways of American society, Minniti says. “It's one of the great diversifying features of the country, the importance of freedom, the stress on the market, the commitment to work that gets you where you are,” she says. Do local economies benefit from the arrival of legal immigrants? In Durham, N.C., City Council member Steve Schewel says his community's economy needs immigrants to prosper. In Michigan, Republican Gov. Rick Snyder said he supports legal immigration because of its potential to boost the state economy. The state's population fell seven years in a row, from 2005 to 2011, reflecting an economy battered by the 2008 recession and job cuts resulting from the auto industry's struggles. She says she discovered this phenomenon in the 1990s, when she began studying Silicon Valley's venture capitalists. Should more H-1B visa holders be allowed to remain in the United States? Each applicant must have a corporate sponsor, who must show that the applicant is earning as much as native-born employees, that the company has unsuccessfully tried to recruit Americans with similar skills and that the applicant's work is essential to the company's operations. Critics say companies use the visas to import cheaper labor to suppress wages across the country. They say universities and hospitals also use the visas to hire low-wage teaching assistants and nurses. Then-Sen. Jeff Sessions, R-Ala., now the U.S. attorney general, said in 2016 Congress should consider eliminating the program. The month before Trump took office, he convened a group of tech company CEOs, whose top priorities include expanding the H-1B program in order, they say, to recruit the most talented workers.39 For years, many executives have been urging the White House and Congress to allow more immigration. In 2013, Facebook CEO Mark Zuckerberg co-founded FWD.us, an effort backed by Silicon Valley companies that is pushing for “commonsense” reform solutions that will satisfy both sides in the debate. However, some startups and other small firms see the H-1B visa program as favoring bigger tech companies. If employees cannot obtain H-1B visas, they must apply for legal residence, which can take years. “Small companies can't afford to put them through the green-card process,” says Syracuse University's Minniti, referring to a permit that allows a foreigner to live and work permanently in the United States. But Liu says the H-1B lottery is a crapshoot. “There is no guarantee you will win,” says Liu, who was sponsored by Intel. At least 10 of his foreign-born Michigan classmates failed to get H-1B visas and had to leave the country — some to the United Kingdom, others to Australia. In a few cases, their companies reassigned them to subsidiaries abroad. Liu says he received a three-year H-1B visa that will expire in 2019 and is eligible to apply for a three-year extension. But he also is thinking about applying for permanent residency. “It's a painful process,” says Liu. In the 13 colonies that became the United States, immigration and economic growth went hand in hand. Upon the outbreak of the Revolutionary War in 1775, immigration for the most part ceased and did not resume until after the fighting ended in 1781. In 1789 the U.S. Constitution took effect, and Article 1, Section 8, Clause 4 gave Congress the authority “to establish an uniform Rule of Naturalization.” Congress then undertook a long line of legislative efforts to define and regulate immigration in the United States. The Naturalization Act of 1790 declared that any alien who was a “free white person” was eligible to become a citizen after living in the United States for two years. At the time, about 4,000 white people a year were immigrating to the United States.45 But that figure was about to swell. One of the most notable British immigrants was William Colgate, who left Kent, England, with his family as a boy in 1795. Colgate settled in New York City in 1803 and soon decided that what New Yorkers needed was soap. Colgate discovered that if he could significantly cut the price of soap, New Yorkers would be willing to buy it. By 1817, after much experimentation, Colgate was the leading soap in the New York market. By the 1840s, after he had added scent to his soap, Colgate's Manhattan factory was producing 20 tons of soap a day to keep up with demand. Colgate later expanded well beyond soap to toothpaste, toothbrushes and mouthwash. Today, Colgate is one of the nation's best-known brands. Some of the earliest Irish arrivals joined New York City's ranks of prosperous businessmen, becoming known as “lace curtain Irish” because they took on an air of respectability. Other, less-educated Irish immigrants, known as “shanty Irish,” worked on ships and raised pigs in the city's teeming neighborhoods. German immigrants were outnumbered by their Irish counterparts in New York, but they were numerous enough that a swath of the city was called Kleindeutschland — Little Germany. “What multitudes from Germany are in our midst,” The New York Times wrote in 1855.52 German influence spread far beyond New York to Chicago, Milwaukee, Cincinnati and smaller cities such as Ann Arbor, Mich. Many German immigrants prospered, including artisans such as cabinetmakers and gilders, shoemakers, bakers, locksmiths, brewers and cigar makers. Germans owned half the grocery stores in New York, even in Irish neighborhoods. German Levi Strauss arrived in New York just as men and women from all over the country were streaming to California and points west for the 1849 Gold Rush. He followed them to San Francisco in 1853 and by 1860 was selling tents, clothing and other dry goods to stores from Nevada to Hawaii. But by far, German influence was felt most significantly in big business. John Jacob Astor, the country's first multimillionaire, was of German descent. So was Harvey Firestone, the founder of Firestone Tire and Rubber Co. Others included Henry Heinz, the ketchup company founder; Otto Kahn, the investment banker; Conrad Hilton, founder of the hotel chain; and Isaac Singer of the sewing machine company. Nevertheless, German immigrants endured two waves of anti-German sentiment, one before and during World War I, the other during World War II. Until the war's outbreak in 1914, she said, German-Americans were viewed mostly as well-integrated and esteemed. “All this changed with the outbreak of the war. At once, German ancestry was a liability.” In 1910, German-Americans made up about 10 percent of the U.S. population, and their presence in virtually every major U.S. city made them instant targets. “The battle against all things German” ran from business to entertainment, Wüstenbecker said. Music halls closed. Teachers had to sign loyalty oaths. By March 1918, the teaching of German in schools had been restricted or ended in 38 of the 48 states, Wüstenbecker wrote. After the war ended, Congress passed the Quota Act of 1921, which restricted immigration, and the Johnson-Reed Act of 1924, which banned immigration by anyone from Asian countries. The latter act also set quotas on immigrants from other places. In the early years, Chinese immigrants took mostly low-skilled and temporary jobs, working in mining, construction (especially helping build the nation's expanding railroads), manufacturing and service industries such as laundries and restaurants. Immigration records show that as many as 300,000 Chinese entered the United States in the first wave, although many returned to China, especially after Congress passed the Chinese Exclusion Act in 1882. That law barred Chinese immigrants from becoming U.S. citizens, a restriction that was not lifted until 1943. In the 1950s, Chinese immigrants began to return to the United States. Some were escaping the oppressive policies of Communist leader Mao Zedong, while many came from the then British colony of Hong Kong, some arriving illegally. Unlike the first wave of Chinese migration, the second, still underway, tends to include immigrants who are well-educated and highly skilled. Most Chinese settle in California and New York; Chicago and Boston also are popular. Today, Mexican immigrants are greeted warily in some parts of the country. The story was different during World War II. In 1980, 2.1 million Mexican immigrants were in the United States, according to the Census Bureau. By 2010, the total number of Mexican immigrants had mushroomed to 11.7 million. Historians say a search for economic opportunity, political instability in Mexico and fears about crime spurred Mexican immigration to the United States.63 Also, says Boston College's Skerry, many older Mexican immigrants did not intend to stay; their plan was to earn money and then return home. The higher income helps explain why so many Mexicans risk crossing the border illegally, experts say. The federal government in recent years has attempted to reform immigration policy, with much of the debate focusing on the economic implications of legal and illegal immigration. Since then, immigration-reform measures have repeatedly failed to pass, regardless of which party controlled the White House or the chambers of Congress. In 2007, Republican President George W. Bush pushed a comprehensive reform that sought to satisfy supporters and foes of immigration by providing legal status to undocumented migrants and giving them a pathway to citizenship while tightening border security. President Trump is moving aggressively against illegal immigration by cracking down on “sanctuary cities” (places that provide haven to undocumented immigrants) and loosening the rules on who can be deported. Businesses and immigrant advocates are warning in response that limiting immigration will hurt the U.S. economy. To dramatize the importance of immigrants to the economy, advocates staged a “Day Without Immigrants” on Feb. 16 in which shops and restaurants nationwide closed for the day. Their goal was to show what would happen if the United States were to lose large numbers of foreign-born residents in a crackdown on illegal immigration. The protest was spurred by Trump's executive order on immigration, his proposal to build a wall on the Mexican border and his crackdown on sanctuary cities, as well as recent federal raids on workplaces. Businesses also are worried about the economic impact of Trump's crackdown on sanctuary cities, in which he is threatening to cut off federal funding to any municipality that offers safe haven to undocumented immigrants. No matter the outcome of the immigration debate and the court battle over Trump's executive order, Boston College's Skerry says the country is likely to remain divided. Many Americans, he says, passionately believe immigrants should be allowed to enter the country and undocumented workers should be able to stay, because their own family members had made similar journeys in search of prosperity. Others, however, feel just as passionately that both legal and illegal immigration harms the economy because foreigners create more competition for jobs that Americans need and are often willing to work for less so they suppress wages. In the meantime, Saxenian at Berkeley says immigrant executives and venture capitalists in Silicon Valley are watching closely to gauge whether to invest in the United States or in their overseas operations. She hopes the debate does not scare them — or their potential employees — away. “To the extent that these ecosystems develop outside the United States, we want to make sure the U.S. remains attractive,” Saxenian says. “We're in a space where anxieties over globalization are so strong that we could see a slowing down” of investment. Minniti at Syracuse University says attracting younger immigrants is critical to keeping the U.S. economy competitive. “There is a strong correlation between age and starting a business,” Minniti says, noting many businesses are started by people between the ages of 24 and 35 years old. “You don't immigrate when you're 70,” she says. “You immigrate when you're young.” That's equally true for lesser-skilled immigrants, who continue to come to the United States in search of advancement. Boston College's Skerry says a compromise on immigration is possible. One solution conservatives could embrace, he says, is to establish a nationwide, government-sponsored effort to teach immigrants to become fluent in English. “It needs the oomph of a national campaign to encourage immigrants to learn English,” he says, similar to the way Scottish-American industrialist Andrew Carnegie jumpstarted the library system by building libraries across the United States. Trump adviser Bannon would agree that Americans with fewer skills are the ones paying the price for globalization. But more immigration is not the answer, he said. The solution, he argued, is to gain control of national borders and construct an economic nationalism that focuses on the needs of the American economy over internationalism. Will limiting illegal immigration protect U.S. economic interests? The notion that enforcing our immigration laws will harm the economy is not supported by the facts. First, illegal immigration is a trivial share of the United States' $18 trillion economy, accounting for 2 or 3 percent of gross domestic product (GDP), according to Harvard's George Borjas, the nation's top immigration economist. This tiny addition to GDP almost entirely goes to the illegal immigrants themselves as wages and benefits. Yes, the aggregate size of the U.S. economy would fall a little if these immigrants went home — fewer people means a slightly smaller economy. But what matters is the per capita GDP — the nation's total output, divided by the number of people in the United States — and not aggregate GDP. And there is no indication that reducing illegal immigration would reduce the per capita GDP of natives or legal immigrants. The best way to think about enforcement is that it creates winners and losers. If more immigrants here illegally went home, low-skilled Americans who compete with them would benefit. Borjas has estimated that by increasing the supply of workers, illegal immigrants may reduce wages by $99 billion to $118 billion a year. Their departure would mean higher wages at the bottom of the labor market. It also would mean that some of the 23 million working-age Americans with no education beyond high school who are not employed might find work. The other winners from enforcement would be taxpayers. On average, adult illegal immigrants have only about a 10th-grade education. As a result, they tend to earn low wages, and this allows them — or more often their U.S.-born children — to qualify for welfare programs. My own research indicates that 62 percent of such households use one or more major welfare programs. Consistent with all prior research, a 2016 report by the National Academies of Sciences, Engineering and Medicine found that immigrants with no education beyond high school create significantly more costs for government than they pay in taxes. As a result, the departure of those immigrants in the United States illegally would save taxpayers billions. It is true that some low-wage employers and the illegal immigrants themselves would lose if we enforced our immigration laws. But the poorest and least-educated Americans would benefit, as would taxpayers. Furthermore, enforcing immigration laws could help reduce crime, enhance national security and restore the rule of law. Timiting immigration and undertaking mass deportations are not the solutions to the purported immigration crisis. In fact, the leading studies on the subject conclude mass deportation will harm the economy and is an irresponsible policy that will fail, especially if businesses' demands for undocumented labor continue. The Immigration Policy Center, for instance, said mass deportation would reduce U.S. GDP by 1.46 percent a year. Over 10 years, the cumulative GDP loss would be $2.6 trillion, not including the actual cost of deportation. This approach would lower wages for higher-skilled natives and lead to widespread job loss. It is thus time to end to baseless assertions that immigration restrictions are a viable option to the immigration debate. We must turn to data, not demagoguery; we must demand facts and not merely accept economically baseless as well as inhumane rhetoric. 1607 Virginia Company founds the first permanent English settlement in North America at Jamestown. 1619 First slaves arrive in Virginia. 1775 Revolutionary War causes a near halt to immigration. 1820 German immigration expands, peaking with about 1.4 million arriving between 1880–1890. 1845 Ireland's Great Famine prompts migration to the U.S. As many as 4.5 million Irish arrive between 1820 and 1930. 1882 After riots, Congress passes the Chinese Exclusion Act, virtually halting Chinese immigration. 1907 Peak year for immigration as 1.3 million enter U.S.
1917 Anti-German sentiment builds with U.S. entry into World War I. 1924 Johnson-Reed Act curtails immigration; Asian immigrants are barred entry. 1930s During the Depression, hundreds of thousands of Mexican immigrants are deported. 1942 Bracero Program allows Mexican workers to enter the U.S., easing a wartime labor shortage. 1952 McCarren-Walter Act ends Asian exclusion. 1965 Hart-Celler Act removes immigration quotas based on nationality. 1972 President Richard Nixon visits China and begins normalization of relations. The move opens the door to increased Chinese immigration. 1975 Vietnam War ends with fall of Saigon to communist forces; emigration from Vietnam, Thailand and Cambodia picks up. 1986 Immigration Reform and Control Act sets fines for employers who knowingly hire undocumented immigrants and amnesty for some 3.2 million undocumented immigrants. 1990 Congress creates the H-1B visa program for skilled foreign workers, allowing them to work in the U.S. for three years. 1996 Undocumented immigrant population reaches 5 million. 2000s-Present Presidents Bush, Obama and Trump seek to change immigration policy. 2000 H-1B cap is raised to 195,000; in 2004, Congress lowers it to 65,000. 2006 Number of undocumented immigrants reaches 11.6 million. 2007 Congress rejects George W. Bush administration's attempt to create pathway to citizenship for longtime undocumented immigrants. 2012 President Barack Obama signs an executive order protecting undocumented children, known as “Dreamers.” An appeals court blocks his actions; the Supreme Court upheld the ruling in 2016. 2014 Immigration reform efforts fail in Congress. 2017 President Trump tightens immigration policy, signing an executive order blocking refugee immigration and temporarily banning entry by nationals from seven Muslim-majority countries. An appeals court upholds a lower court's stay of the order. Children who were undocumented when they arrived could face deportation. But one of her videos tells a far less upbeat story. Garcia, 20, of Los Angeles is a “Dreamer” — the child of parents who brought her to the United States as an undocumented immigrant. The name comes from a 2012 executive order, signed by then-President Barack Obama, called the Deferred Action for Childhood Arrivals program (DACA). Garcia, a junior at California State University who is majoring in communications, defends DACA. Her goal, she says, is to become an American citizen. She says her parents emigrated from Jalisco, Mexico, when she was a child and that her younger brother and sister — both born after her parents moved to California — are citizens. But she and her parents are undocumented. She says her father is working, but she declines to be more specific. Her mother is a homemaker. Although she's been able to get small grants, “it is not enough,” she says. “I've paid my taxes since I started working when I was 17. I have had to work a bit harder” than native-born students “for the chance to continue to pursue higher education,” Garcia says. Garcia says her video about her Dreamer status generated personal stories and messages of support from her YouTube followers, but a number of people posted negative comments expressing opposition to the Dreamers act. “You are an illegal student, draining our resources,” wrote one, who called himself Julio Iglesias, the same name as the Spanish singer. Garcia calls the comments “very upsetting.” But she says she will continue posting YouTube videos and, after graduation, will try to become an entrepreneur and create a scholarship fund for undocumented and low-income students. Beyond that, she wants to create financial security for her family. That would be “part of achieving the American dream,” she says. Maria Garcia's YouTube videos can be found at http://tinyurl.com/h9uvshj. Griselda Nevarez, “4 Years Later, Lives Built By DACA at Risk in 2016 Election,” NBC News, June 15, 2016, http://tinyurl.com/hxzggkw. “Full Transcript: President Donald Trump's News Conference,” CNN, Feb. 17, 2017, http://tinyurl.com/h2ceucw. Miriam Jordan, “Immigrants Benefit From White House Initiative,” The Wall Street Journal, Sept. 5, 2014, http://tinyurl.com/hqa6oy3. Federal Student Aid, U.S. Department of Education, http://tinyurl.com/ho9b48e. The comments were posted on YouTube at http://tinyurl.com/h73zucx. Lesli Ann Mie Agcaoili, an engineer at Tesla Motors in Fremont, Calif., has a front-row seat to the role that immigrants play in the technology sector — and to their fears of the Trump administration's restrictive plans on immigration. Throughout the day, she says, she interacts with co-workers from Mexico, Canada, Germany and Australia. She socializes with people from India, who shop in their own section of Fremont called Little India. Agcaoili says it's normal to hear conversations in different languages. Lately, much of the talk has been about President Trump's executive order — which several federal courts have blocked — temporarily barring entry to nationals from seven Muslim-majority countries. About two-thirds of people working in computing and mathematics jobs in San Mateo and Santa Clara counties, which comprise Silicon Valley, were born outside the United States, said the Silicon Valley Institute for Regional Studies, the research arm of Joint Venture Silicon Valley, an organization studying the region's economy. Immigrants make up 60 percent of those working in engineering and architectural jobs. For Agcaoili, a 45-year-old Asian-American, the issue is personal. Her father is Filipino and her mother's roots are in Japan. Born in Los Angeles, Agcaoili spent her childhood traveling between there and Hawaii, where her ancestors emigrated to work on plantations. Some of her mother's relatives were placed in internment camps during World War II. Agcaoili, who has also worked for Ford Motor Co. in Dearborn, Mich., and the parent company of BlackBerry in Waterloo, Ontario, says immigration scares have happened before. In the early 2000s, when jobs were scarce, she says foreign-born classmates in business school were worried about whether they would be able to stay in the United States after they earned their degrees. Shira Ovide, “Trump Win Is Silicon Valley's Loss on Immigration,” Bloomberg News, Nov. 9, 2016, http://tinyurl.com/hx33jzr. Mica Rosenberg, Stephen Nellis and Emily Stephenson, “Trump, tech tycoons talk overhaul of H1B visas,” Reuters, Jan. 12, 2017, http://tinyurl.com/grtljcr. Frances Stead Sellers and David A. Fahrenthold, “‘Why even let 'em in?' Understanding Bannon's worldview and the policies that follow,” The Washington Post, Jan. 31, 2017, http://tinyurl.com/htcvuhf. Rosenberg, Nellis and Stephenson, op. cit. Elizabeth Dwoskin and Craig Timberg, “How Canada is trying to capitalize on Trump's executive order,” The Washington Post, Feb. 10, 2017, http://tinyurl.com/hw2cogg. Annie Ropeik, “Immigration Executive Order Causes Anxiety In VP Mike Pence's Hometown,” NPR, Feb. 16, 2017, http://tinyurl.com/hxsa5l6. Anbinder, Tyler , City of Dreams: The 400-Year Epic History of Immigrant New York , Houghton Mifflin Harcourt, 2016.. A George Washington University history professor tells the stories of immigrants and the role they played in defining a polyglot New York City. Hsu, Madeline T. , The Good Immigrants: How the Yellow Peril Became the Model Minority , Princeton University Press, 2015.. An associate professor of history at the University of Texas, Austin tells the history of Chinese immigrants and their path from a loathed ethnic group to an educated and admired migrant group. Peralta, Dan-el Padilla , Undocumented: A Dominican Boy's Odyssey From a Homeless Shelter to the Ivy League , Penguin Press, 2015.. The author, whose family migrated from the Dominican Republic and became homeless, describes his impoverished childhood — and his rise to salutatorian at Princeton University. Urrea, Luis Alberto , The Devil's Highway: A True Story , Back Bay Books, 2005.. A writer tells the story of a group of 26 Mexican immigrants who got lost in the Arizona desert, of whom just 12 survived. Borjas, George J. , “Yes, Immigration Hurts American Workers,” Politico Magazine, September/October 2016, http://tinyurl.com/hol5pmp. An economics professor at Harvard's Kennedy School of Government argues that during the 2016 presidential campaign, neither Republican Donald Trump nor Democrat Hillary Clinton gave a complete picture of immigration's impact on the United States. Campbell, Alexia Fernández , “The Truth About Undocumented Immigrants and Taxes,” The Atlantic, Sept. 12, 2016, http://tinyurl.com/zs9ud27. A journalist explains how many undocumented immigrants collectively pay millions of dollars annually in Social Security taxes, even though they are ineligible to collect retirement benefits. Davis, Bob . “The Thorny Economics of Illegal Immigration,” The Wall Street Journal, Feb. 9, 2016, http://tinyurl.com/jo3pfbm. A journalist explores the steps Arizona took to limit undocumented immigration and how it affected the state's economy, in both negative and positive ways. Fitz, Marshall, Philip E. Wolgin and Patrick Oakford , “Immigrants Are Makers, Not Takers,” Center for American Progress, Feb. 8, 2013, http://tinyurl.com/zlzc585. Analysts at a liberal public policy think tank look at ways undocumented immigrants contribute to the American economy and their potential for providing more value. Glaser, April , “What Silicon Valley can expect under Trump,” Recode, Jan. 23, 2017, http://tinyurl.com/j5jchlq. Technology industry CEOs discuss their priorities, including immigration reform, during the Trump presidency. Goodman, H.A. , “Illegal immigrants benefit the U.S. economy,” The Hill, April 23, 2014, http://tinyurl.com/kefo83e. The author looks at various data about undocumented immigrants, arguing that they make a positive contribution to the U.S. economy. Koch, Edward , “Why Americans Oppose Amnesty for Illegal Immigrants,” Real Clear Politics, June 2, 2010, http://tinyurl.com/255ulm3. The late New York City mayor argued the United States should expand quotas for legal immigrants rather than allow those here illegally to stay. Brannon, Ike, and Logan Albright , “Immigration's Impact on the Texas Economy,” Texas Public Policy Foundation, March 2016, http://tinyurl.com/jzcffbt. Researchers from a conservative think tank look at the impact of legal and undocumented immigration on the economy of Texas, which has the nation's second-largest number of undocumented immigrants. Cadman, Dan , “President Trump's Immigration-Related Executive Orders,” Center for Immigration Studies, February 2017, http://tinyurl.com/z442bxg. A fellow at the Center for Immigration Studies, which favors limiting legal immigration, analyzes President Trump's actions on immigration. Dimock, Michael , “How America Changed During Barack Obama's Presidency,” Pew Research Center, Jan. 10, 2017, http://tinyurl.com/hwb8kbk. A political scientist discusses the changes that took place during the Obama years, including the administration's policy moves on immigration. Krogstad, Jens Manuel, Jeffrey S. Passel and D'Vera Cohn , “Five facts about illegal immigration in the U.S.,” Pew Research Center, Nov. 3, 2016, http://tinyurl.com/gtmhrft. The authors look at the demographics of the undocumented immigrant population and the immigrants' impact on the broader U.S. population. Bloomfield, Doni, John Lauerman and Matthew Campbell , “Trump's H-1B Visa Crackdown Threatens Cutting-Edge U.S. Medicine,” Bloomberg, Feb. 7, 2017, http://tinyurl.com/jo66u2w. President Trump's travel restrictions could slow research and deplete the number of skilled immigrants at U.S. biotech firms, industry experts say. Bukhari, Jeff , “Why H-1B Visas Aren't So Great for Silicon Valley Workers,” Fortune, Feb. 15, 2017, http://tinyurl.com/zgoyyz9. Although hiring foreign-born IT workers raised wages nationwide and lowered costs for computer products, domestic employment could have been 10 percent higher in the computer sector without immigrant labor, the author says. Iyengar, Rishi , “H-1B debate: Trump is making India's tech industry nervous,” CNN, Feb. 15, 2017, http://tinyurl.com/hy8lchb. India's IT outsourcing industry, which generates about 10 percent of the country's gross domestic product, could suffer if President Trump restricts the available number of H-1B visas. Chou, Elizabeth , “Immigrants fueled LA economy to tune of $232.9 billion in 2014,” Los Angeles Daily News, Feb. 8, 2017, http://tinyurl.com/gptykm6. Immigrants in Los Angeles County contributed about 35.7 percent of the region's economic output. Delikat, Stacey , “Immigrant-owned restaurants host 'food diplomacy' meals,” Fox 5 NY, Feb. 6, 2017, http://tinyurl.com/j2rvybs. New York-based “food tour guides” are looking to create a cultural bridge and foster community by highlighting restaurants with owners who are from countries affected by President Trump's travel restrictions. Flynn, Kerry , “What the tech industry would look like without immigrants,” Mashable, Jan. 31, 2017, http://tinyurl.com/jlpfsdu. Immigrants and first-generation Americans played central roles in creating some of the United States' biggest tech companies, including Sergey Brin of Google and Jerry Yang of Yahoo. Burnett, John , “Republican Lawmakers Propose New Law To Reduce Legal Immigration,” NPR, Feb. 7, 2017, http://tinyurl.com/gnzxr2y. A bill offered by two Republican senators would limit the number of green cards given to foreign nationals, slash the number of refugees admitted and remove the diversity lottery that gives visas to countries with low rates of immigration. Carney, Jordain , “Senate Dems move to nixTrump's deportation order,” The Hill, Feb. 16, 2017, http://tinyurl.com/jymr2fy. A group of Senate Democrats introduced legislation to roll back President Trump's executive order on deportation. Turque, Bill , “In era of Trump, CASA pushing for new laws in Maryland suburbs,” The Washington Post, Feb. 9, 2017, http://tinyurl.com/jx79ue8. CASA de Maryland, one of Maryland's biggest immigrant advocacy groups, plans to push for legislation in two of the state's counties that would codify longtime unstated protections for undocumented immigrants. Knefel, John , “Inside the Huge JFK Airport Protest Over Trump's Muslim Ban,” Rolling Stone, Jan. 29, 2017, http://tinyurl.com/j5j8ogs. In response to President Trump's executive order restricting travel from seven majority Muslim countries, thousands of protesters converged on JFK International Airport, setting off a wave of protests around the country, including in Silicon Valley. Perez-Peña, Richard, and Katie Rogers , “Day Without Immigrants to Hit Washington in the Stomach,” The New York Times, Feb. 15, 2017, http://tinyurl.com/h68mmwc. Immigrant restaurant owners in Washington, D.C., including big names such as Zaytinya and Oyamel proprietor José Andrés and Busboys and Poets owner Andy Shallal, participated in the “Day Without Immigrants” campaign.
. Civil rights group that defends immigrants' legal rights. Represents Arab-American causes, including discrimination matters and immigration. Conservative research group whose goal is to restrict illegal and legal immigration. Advocacy group seeking limits on immigration that produced a widely quoted study on undocumented immigration. Network of 100 grassroots Hispanic organizations that provides education and job training resources to immigrants and their families. Lobbies on immigration issues and provides guidance to its members on immigration matters. Advocacy group that wants to reduce legal immigration. Federal agency responsible for securing U.S. borders. “Full Executive Order Text: Trump's Action Limiting Refugees Into the U.S.,” The New York Times, Jan. 27, 2017, http://tinyurl.com/huz723. ; Michael D. Shear and Ron Nixon, “New Trump Deportation Rules Allow Far More Deportations,” The New York Times, Feb. 21, 2017, http://tinyurl.com/jtr2qmq. Greg Bensinger and Rachael King, “Tech CEOs Take a Stand Against Donald Trump's Immigration Order,” The Wall Street Journal, Feb. 6, 2017, http://tinyurl.com/hh893na. Letter from the American Council On Education to Homeland Security Secretary John Kelly, Feb. 3, 2017, http://tinyurl.com/zptvsum. Frances Stead Sellers and David A. Fahrenthold, “‘Why even let 'em in?’ Understanding Bannon's worldview and the policies that follow,” The Washington Post, Jan. 31, 2017, http://tinyurl.com/htcvuhf. Renee Stepler and Anna Brown, “Statistical Portrait of Hispanics in the United States,” Pew Research Center, April 19, 2016, http://tinyurl.com/z7axefn. The definition of “Hispanic” varies by study, and the U.S. census permits people to self-identify as Hispanic or “Latino.” See “Hispanic Origin Main,” U.S. Census Bureau, http://tinyurl.com/hqbmd2s. Jie Zong and Jeanne Batalova, “Asian Immigrants in the United States,” Migration Policy Institute, Jan. 6, 2016, http://tinyurl.com/gqtyet4; “Asian-Americans Are Expanding Their Footprint in the U.S. and Making an Impact,” Nielsen Company, May 19, 2016, http://tinyurl.com/hrq882b. “Modern Immigration Wave Brings 59 Million to U.S., Driving Population Growth and Change Through 2065,” Pew Research Center, Sept. 28, 2015, http://tinyurl.com/qhfo8js. Jason Furman and Danielle Gray, “10 Ways Immigrants Help Build And Strengthen Our Economy,” Obama White House Archives, July 12, 2012, http://tinyurl.com/hto2rum. “Foreign Born Population,” U.S. Census Bureau, 2017, http://tinyurl.com/jsbzqc5. Richard Florida, “How Trump Threatens America's Talent Edge,” CityLab, Jan. 31, 2017, http://tinyurl.com/jros2wj. Alexia Fernández Campbell, “The Truth About Undocumented Immigrants and Taxes,” The Atlantic, Sept. 12, 2016, http://tinyurl.com/zs9ud27; “The Fiscal Burden of Illegal Immigration on the United States Taxpayer,” Federation for American Immigration Reform, 2013, http://tinyurl.com/od66dx3. Cass R. Sunstein, “The Real Reason So Many Americans Oppose Immigration,” Real Clear Politics, Sept. 28, 2016, http://tinyurl.com/gs9fa27. Jeffrey S. Passel and D'Vera Cohn, “Size of U.S. Unauthorized Immigrant Workforce Stable After the Great Recession,” Pew Research Center, Nov. 3, 2016, http://tinyurl.com/hvyqz7j; Anthony Cave, “Has Arizona's Economy Improved Because of Its Immigration Laws?” Politifact Arizona, March 3, 2016, http://tinyurl.com/z99ar2c. “The Fiscal Burden of Illegal Immigration on United States Taxpayers,” op. cit. Peter Morici, “The real cost of illegal immigration,” The Washington Times, Sept. 6, 2016, http://tinyurl.com/hd59gwf. For background, see Sarah Glazer, “Welfare Reform,” CQ Researcher, Aug. 3, 2001, pp. 601–632. “Statistical Hot Air: FAIR's USA Report Lacks Credibility,” American Immigration Council, March 29, 2011, http://tinyurl.com/hkdu5gz; Miriam Valverde, “Donald Trump Says Illegal Immigration Costs $113 Billion,” PolitiFact, Sept. 1, 2016, http://tinyurl.com/hnuzdsa. Marshall Fitz, Philip E. Wolgin and Patrick Oakford, “Immigrants Are Makers, Not Takers,” Center for American Progress, Feb. 8, 2013, http://tinyurl.com/zlzc585. Farm Labor Background Report, Economic Research Service, U.S. Department of Agriculture, 2017, pp. 3, 7, http://tinyurl.com/glrf3ar; Kenneth Megan, “Labor Shortages Make the Case for Immigration,” Bipartisan Policy Center, Oct. 23, 2015, http://tinyurl.com/zht7oox. Travis Putnam Hill, “In Texas, Undocumented Immigrants Have No Shortage of Work,” The Texas Tribune, Dec. 16, 2016, http://tinyurl.com/hhdxy34. Ike Brannon and Logan Albright, “Immigrations' Impact on the Texas Economy,” Texas Public Policy Foundation, March 2016, http://tinyurl.com/jzcffbt. Economic Profile, Greater Durham Chamber of Commerce, 2017, http://tinyurl.com/gu5t3bp. Demographics, City of Durham, N.C., 2017, http://tinyurl.com/hdjx4oa; “Durham's Immigrant Communities: Looking to the Future,” Latino Migrant Project, 2016, http://tinyurl.com/ztcwpzh. Benjamin Wallace-Wells, “The Trump Administration's Dark View Of Immigrants,” The New Yorker, Feb. 2, 2017, http://tinyurl.com/hpuk999. Farei Chideya, “Trump's Blue Collar Base Wants More Jobs and an America Like the Past,” Five Thirty Eight, Sept. 13, 2016, http://tinyurl.com/jrsvsas. “Immigrant Small Business Owners: A Significant and Growing Part of the Economy,” Immigration Research Initiative, Fiscal Policy Institute, June 2012, http://tinyurl.com/6vt5fae. “Economic Impact of Immigration by State,” WalletHub, Feb. 14, 2017, http://tinyurl.com/hvpc4yt. “How States and Local Economies Benefit From Immigrants,” American Immigration Council, http://tinyurl.com/goj2sge. Miriam Jordan, “Heartland Draws Hispanics to Help Revive Small Towns,” The Wall Street Journal, Nov. 8, 2012, http://tinyurl.com/z2vvqet. Michigan Population Trends, Michigan Department of Health And Human Services, 2017, http://tinyurl.com/jdjdsk7; “Snyder Creates Office for New Americans,” press release, Office of Governor Rick Snyder, Jan. 31, 2014, http://tinyurl.com/gu7e5d2. “How Immigrants Are Helping Detroit's Recovery,” The Economist, Feb. 16, 2017, http://tinyurl.com/zqjqvbk. 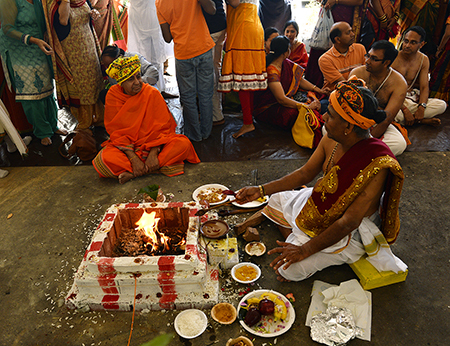 “Taiwanese Companies in the U.S.,” U.S.-Taiwan Connect, 2017, http://tinyurl.com/z3l28el; “Indian Companies Invest Billions in the U.S.,” The Wall Street Journal, July 15, 2015, http://tinyurl.com/z5wsusa. Sara Ashley O'Brien, “High-Skilled Visa Applications Hit Record High — Again,” CNN Money, April 12, 2016, http://tinyurl.com/zs473gb. Paige Godden, “Jeff Sessions Considers Eliminating H-1B Program,” Des Moines Register, Oct. 25, 2016, http://tinyurl.com/zrksa79. Profile of Infosys, My Visa Jobs, 2017, http://tinyurl.com/jdqut2w, http://tinyurl.com/z7tdykv. “Fearing Tighter U.S. Visa Regime, Indian IT Firms like Infosys, TCS Rush To Hire, Acquire,” Reuters, Nov. 29, 2016, http://tinyurl.com/hoyw9h3. “H-1B Debarred/Disqualified List of Employers,” U.S. Labor Department, 2017, http://tinyurl.com/zhgkvmr. Edmund S. Morgan, American Slavery, American Freedom (reprinted 2003). Richard Hofstadter, America at 1750: A Social Portrait (1971), p. 19; Marianne S. Wokeck, Trade in Strangers: The Beginnings of Mass Migration to North America (1999), p. 46. Naturalization Acts of 1790 And 1795, George Washington's Mount Vernon, http://tinyurl.com/zhc729m. Tyler Anbinder, City Of Dreams, The 400-Year Epic History of Immigrant New York (2016), p. xxv. “Great Famine,” Encyclopedia Britannica, Jan. 28, 2016, http://tinyurl.com/z7ntujp. Our History, Levi Strauss & Company, http://tinyurl.com/zujk3n4. Katja Wüstenbecker, “German-Americans In World War I,” Immigrant Entreprenuership, Sept. 19, 2014, http://tinyurl.com/jpcxm8y. “Who Was Shut Out?” History Matters, George Mason University, http://tinyurl.com/hzjoutz. Tetsuden Kashima, Judgment Without Trial: Japanese American Imprisonment During World War II (2003), p. 124. Kate Hooper and Jeanne Batalova, “Chinese Immigrants in the United States,” Migration Policy Institute, Jan. 28, 2015, http://tinyurl.com/jqovnxs. Bracero History Archive, 2017, http://tinyurl.com/82huf75. Marilyn Sworzin, “Wartime Wages, Income and Wage Regulation in Agriculture,” Bulletin of the U.S. Bureau of Labor Statistics, 1946, Federal Reserve, http://tinyurl.com/gvutub4. “Most Mexicans See a Better Life in the U.S.; One-In-Three Would Migrate,” Pew Research Center, Sept. 23, 2009, http://tinyurl.com/nos7k7c. Jie Zong and Jeanne Batalova, “Mexican Immigrants in the United States,” Migration Policy Institute, March 17, 2016, http://tinyurl.com/ln449qb. Mexico, OECD Better Life Index, Organisation for Economic Co-operation and Development, 2017, http://tinyurl.com/3h6oasu. Caroline Mimbs Nyce and Chris Bodenner, “Looking Back at Amnesty Under Reagan,” The Atlantic, May 23, 2016, http://tinyurl.com/jn6o627. Mark Knoller, “The last president who couldn't get Congress to act on immigration,” CBS News, Nov. 21, 2014, http://tinyurl.com/hc4qpy2. Seung Min Kim, “Senate Passes Immigration Bill,” Politico, June 28, 2013, http://tinyurl.com/hth3g3m. Serena Marshall, “Obama Has Deported More People Than Any Other President,” ABC News, Aug. 29, 2016, http://tinyurl.com/j7y6wy9. For more see, Reed Karaim, “Immigration Detention,” CQ Researcher, Oct. 23, 2015, pp. 889–912. Doug Stanglin, “Businesses across U.S. close, students skip school on ‘Day Without Immigrants,’” USA Today, Feb. 16, 2017, http://tinyurl.com/jptxfhe. David Nakamura, “Memos signed by DHS secretary describe sweeping new guidelines for deporting illegal immigrants,” The Washington Post, Feb. 18, 2017, http://tinyurl.com/zdg6mln. Nicholas Kulish, Caitlin Dickerson and Liz Robbins, “Reports of Raids Have Immigrants Bracing for Enforcement Surge,” The New York Times, Feb. 10, 2017, http://tinyurl.com/hwgbj5j; and Lisa Rein, Abigail Hauslohner and Sandhya Somashekhar, “Federal agents conduct immigration enforcement raids in at least six states,” The Washington Post, Feb. 11, 2017, http://tinyurl.com/jg2wcgm; David Nakamura, “Trump administration issues new immigration enforcement policies, says goal is not ‘mass deportations,’” The Washington Post, Feb. 21, 2017, http://tinyurl.com/jh7xlk3. April Glaser, “What Silicon Valley Can Expect Under Trump,” Recode, Jan. 23, 2017, http://tinyurl.com/j5jchlq. Jonathan Shieber, “Apple CEO Tim Cook Sent a Memo to Employees About the Immigration Ban,” Tech Crunch, Jan. 28, 2017, http://tinyurl.com/jdrndk4. Matt Zapotosky, “Federal appeals court rules 3 to 0 against Trump on travel ban,” The Washington Post, Feb. 9, 2017, http://tinyurl.com/hxc6vd8. Josh Rogin, “Inside the White House-Cabinet battle over Trump's immigration order,” The Washington Post, Feb. 4, 2017, http://tinyurl.com/gpyx832. Adam Liptak, “The President Has Much Power Over Immigration, but How Much?” The New York Times, Feb. 5, 2017, http://tinyurl.com/zu6rm79. “The Ninth Circuit makes the right call on Trump's travel ban,” The Washington Post, Feb. 10, 2017, http://tinyurl.com/j92wj6x; Julie Hirschfeld Davis, “Supreme Court Nominee Calls Trump's Attacks on Judiciary ‘Demoralizing,’” The New York Times, Feb. 8, 2017, http://tinyurl.com/gs6b8tl; and Brent Kendall and Laura Meckler, “Trump Administration Plans New Executive Order Next Week, Ends Legal Push in Appeals Court,” The Wall Street Journal, Feb. 16, 2017, http://tinyurl.com/z4gfjvg. Jasmine C. Lee, Rudy Omri and Julia Preston, “What Are Sanctuary Cities?” The New York Times, Feb. 6, 2017, http://tinyurl.com/hyrw4qc. Yara Simon, “28 Universities That Vow to Offer Sanctuary to their Undocumented Students,” Remezcla, November 2017, http://tinyurl.com/gqx4mor. Mark Schlissel, “Protecting the Interests of Our International Community of Scholars,” University of Michigan, Jan. 28, 2017, http://tinyurl.com/z8pgh8r. “Full Text: Donald Trump 2016 RNC draft speech transcript,” Politico, July 21, 2016, http://tinyurl.com/gt4clje. Michelle Castillo, “AirBnb cofounders personally edited the company's controversial Super Bowl Ad,” CNBC, Feb. 6, 2017, http://tinyurl.com/hxkethm; Claire Atkinson, “Anheuser-Busch's Super Bowl ad tackles immigration,” New York Post, Jan. 31, 2017, http://tinyurl.com/z3y6asl. George J. Borjas, “Yes, Immigration Hurts American Workers,” Politico Magazine, September/October 2016, http://tinyurl.com/hol5pmp. Jeff John Roberts, “Trump's Travel Ban: The Supreme Court and What Happens Next,” Fortune, Feb. 6, 2017, http://tinyurl.com/z9rgmah. Sellers and Fahrenthold, op. cit. Micheline Maynard is a former senior business correspondent and Detroit bureau chief for The New York Times and a contributor to Forbes. She has reported and written extensively on global manufacturing, among other things. Her books include Curbing Cars (2014), The Selling of the American Economy (2009) and The End of Detroit (2003).